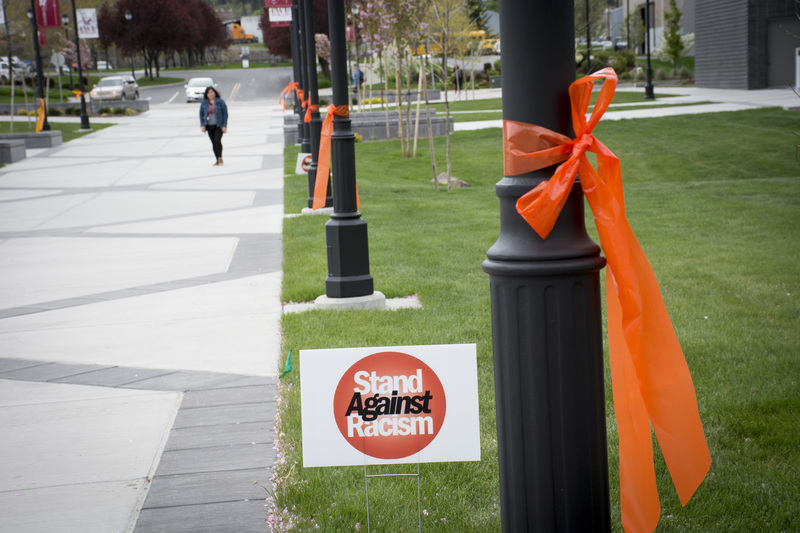 The Diversity Committee supported the YWCA’s ‘Stand Against Racism’ movement last year. The WSU Spokane Diversity Committee is always looking for something new. “We’re always looking for new members because we’re always looking for new ideas,” said Yvonne Montoya Zamora, a member of the committee and a leader of a subcommittee that plans and hosts events. That subcommittee formed in 2008 and includes representatives from Eastern Washington University as well. On Jan. 28 it will receive a WSU Martin Luther King, Jr. Distinguished Service Award at a ceremony in Pullman. Some of the ideas Zamora and her committee have come up with include being involved at the Hispanic Heritage Festival, where WSU Spokane students gave blood glucose and blood pressure tests to attendees. The committee has also brought speakers to campus and has hosted movie nights. The events the committee hosts are all aimed at simply raising awareness about issues of diversity in our culture. This year, the committee intends to focus on diversity issues specific to higher education. The Diversity Committee will meet once a month to discuss specific case studies selected by a facilitator. 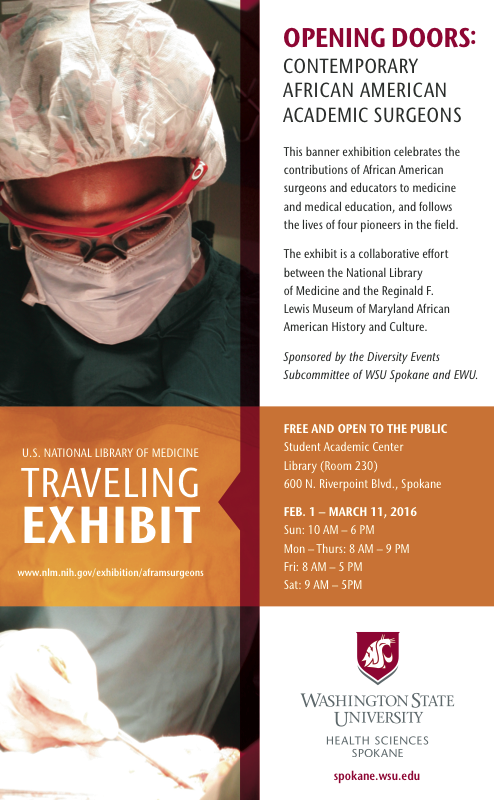 And from Feb. 1 through March 11, the committee will sponsor an exhibit on campus called “Opening Doors: Contemporary African American Academic Surgeons.” The exhibit – hosted in the Spokane Academic Library on campus – celebrates the contributions African American surgeons and educators make to the medical education industry. It will be free and open to the public (pictured at right). 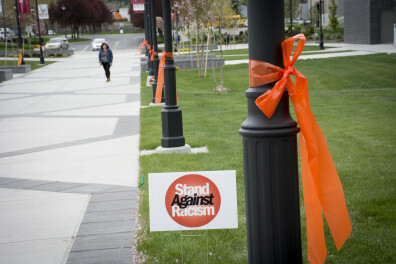 There are also student diversity clubs on campus, and those clubs take the lead during Diversity Week. The committee assists the students clubs. The committee has raised awareness for a number of years, and Zamora says she and her committee members are looking to move to the next phase.